Thanks alot for your write up. I will visit a few local yonkers. 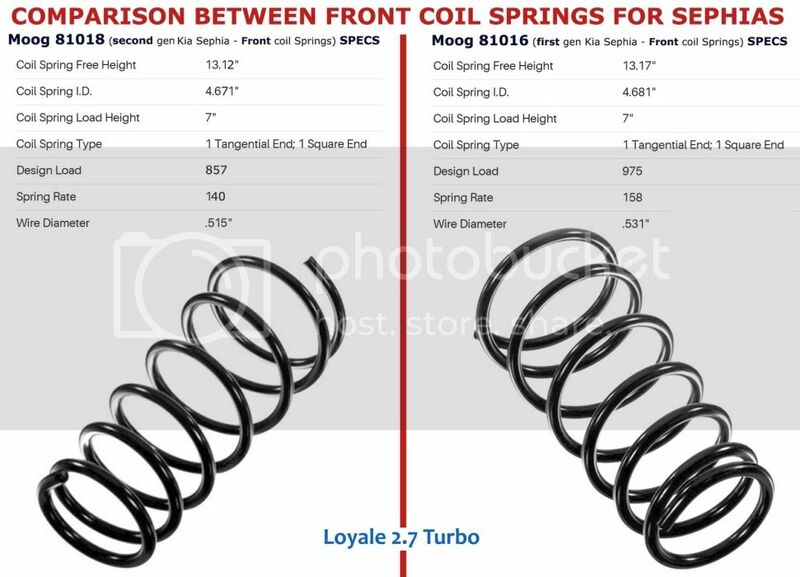 I am thinking that Loyale and xt6(rears) are the same overall length, just have to be sure to get a 4wd model, but no, we will be using the 4 Runner struts. 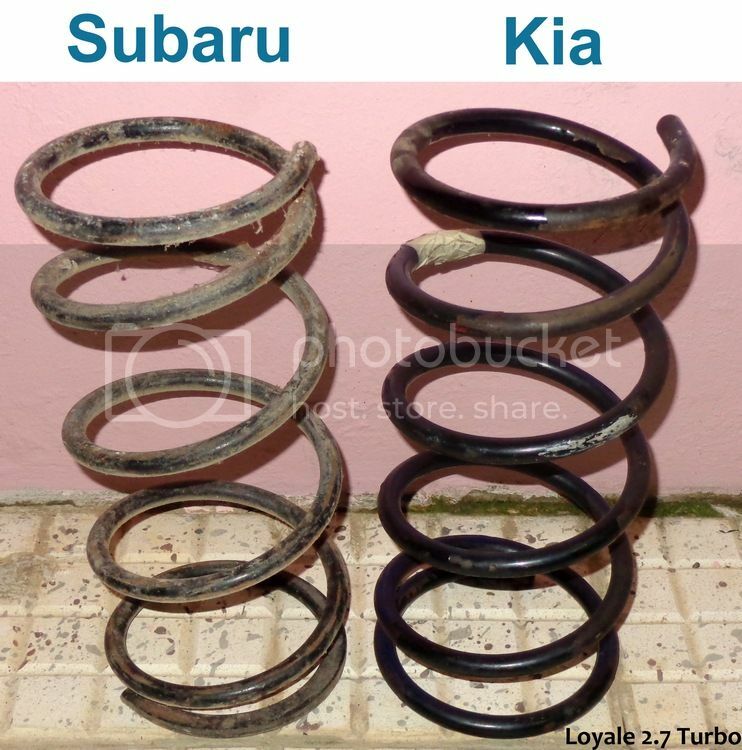 Those are practically identical to the 4wd loyale rear strut. Except strong. That's what I want, something that does not bottom out or break easily. I do not jump it, at least not yet. 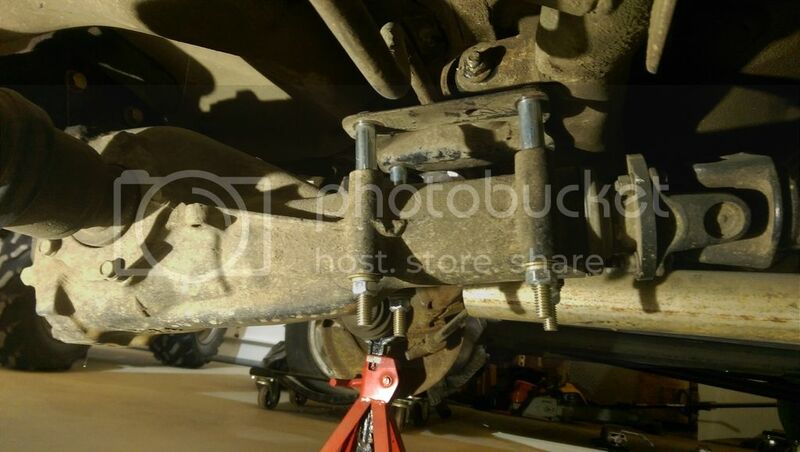 Yes, You're Right about the 4Runner Struts. Did you ever come across taller springs for the front? Even the first gen Sephia, has an increased load ratio than the second gen Sephia. 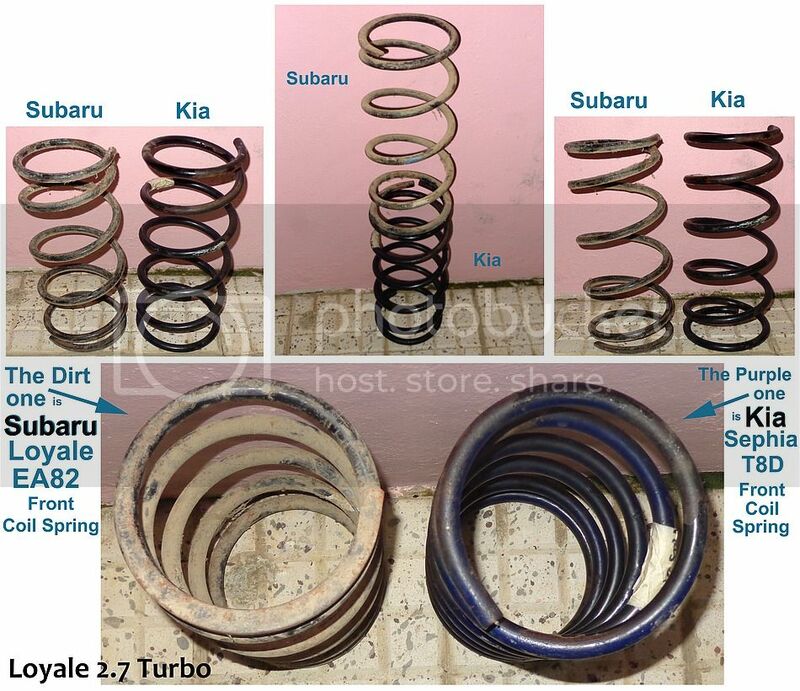 Initially, I searched for stiffer Coil Springs for the Front of this models of Subaru, on year 1999; Because my 2.7 Wagon (now dead) Project, had the Heavyweighed ER27 engine, plus a Fiberglass & Metal sheet Reinforced Front Bumper; I Needed Something Stronger than the EA82's coil Springs to better carry that extra weight. 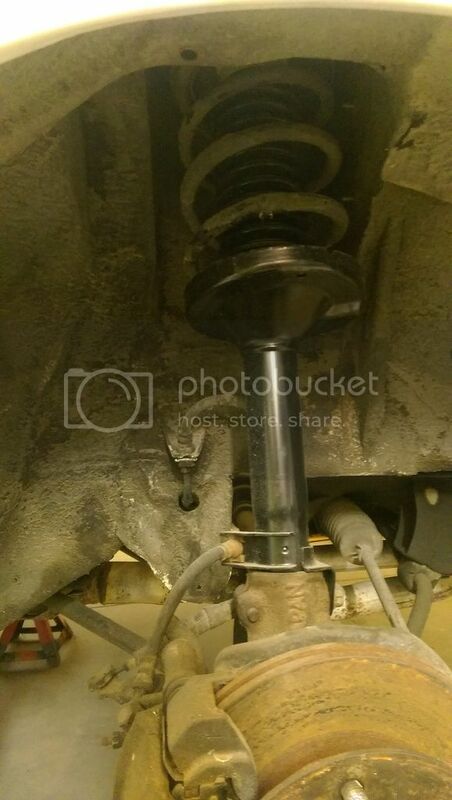 So, using "my own method" which I described with details on the writeup whose Link is Above; I Found that a suitable replacement are the front coil springs from a Ford Tempo; which looked pretty similar to the Subaru ones, but having around two more Turns and a thicker wire. I found those Tempo Coil springs on year 1999, already taken outside their car; (they only had a Mark done with white paint marker on them, that said: '94 Tempo) and originally I used them on my Loyale 2.7 wagon project; but since it is dead (More info, ~► Here) I decided to remove certain parts from it to make my EA82 Weberized Wagon (Now renamed as the BumbleBeast) a Better car, with the Better parts from the two; including the front Tempo coil Springs. So, I installed those Tempo's Coil Springs on the front of my "BumbleBeast" and those add to the Front Suspension the Same Firm & Sporty Feeling that the Rear suspension obtained with the Above written Modifications. ~► MOOG CC854 for "Moog" Brand. ~► NCP 2775375 for "Napa" Brand. Please read further details and see more Photos, on my Writeup. Kind Regards. I have. I purchased the Front struts for the 4 Runner and then put new honda springs on them, and installed on rear of my Rx. Ok, I pulled out the info. I have files on each Subaru I have and keep the receipts and notes. So, on the front of my 88 Rx, I purchased 1990 XT struts; Monroe part# 32271877, & 32271876. One is Rt and one Lt, but the invoice doesn't say, just check on RockAuto and make sure you have the Left and Right. Then I put the stock springs back on. 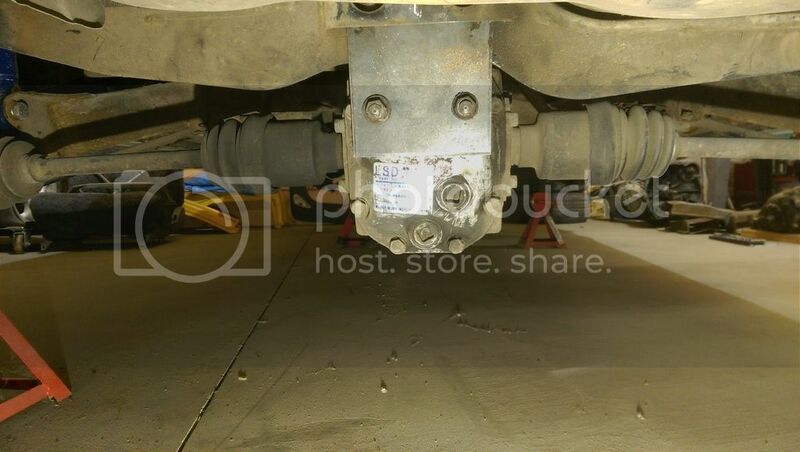 Rear; 1998 Toyota 4Runner, 2.7, Monroe Strut, which is for the "front of the 4Runner", part # 801352. I purchased 2 of them. I also purchased 88 Rx Moog strut mounting hardware, Part# K90232, two of them, which I ended not using so you don't need those, and I also purchased 88 Rx Strut Bellow, part # 901076 (901-076@RD1), 2 of them. The only modification I had to do was, on the rear where the bottom of the strut goes into the saddle, I had to put a spacer washer on each side of the strut to remove side to side slack. But it fit perfect with the two washers. I reused my rubber pieces on top of the strut, they were still good. Here are some pics of the install. It definitely stiffened it up and I always felt the Rx sat slightly lower in the rear from the front stock. But afterwards it has the rear sitting slightly higher than the front and it definitely gave her some more attitude. I will get a pic the whole car when I put the rims back on; painting them and center caps. Here is the pic of the spacers dropping the diff slightly to correct cv angle. Notice how straight the cv's are. No stress here. 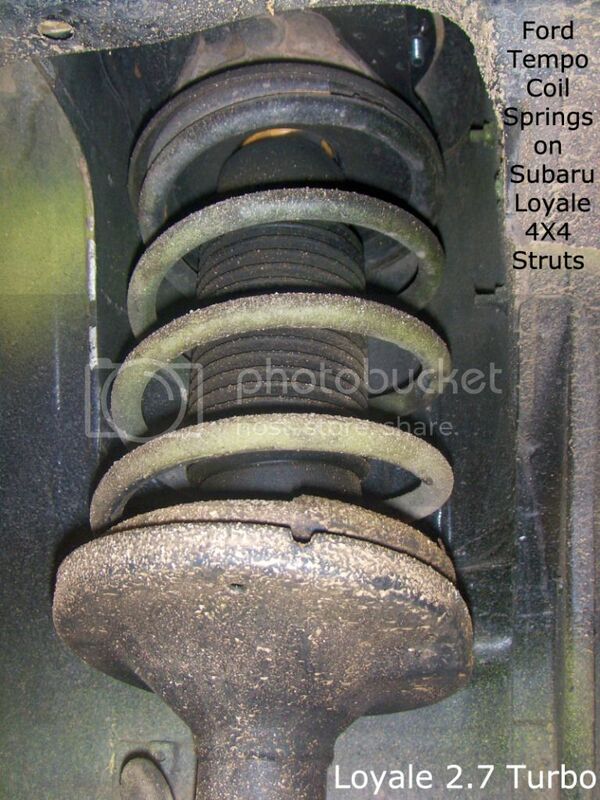 I see that the compressed length of these Toyota shocks is 3 inches longer then the compressed of the stock, so is it necessary to run an over sized spring such as the Honda spring with these? Otherwise wouldn't the weight of the rear end rest entirely on the shock and cause it to fail? Actually no. You could put your stock back with it but this mod was stiffer and for the offroad here and there. It stiffened things up a bit but I always thought the suspension lacked a little stock. Especially when you have more than two people and supplies. Pics of those would be cool. Years of the 300zx too please. Good info. Yes, I've stated that on my Writeup. 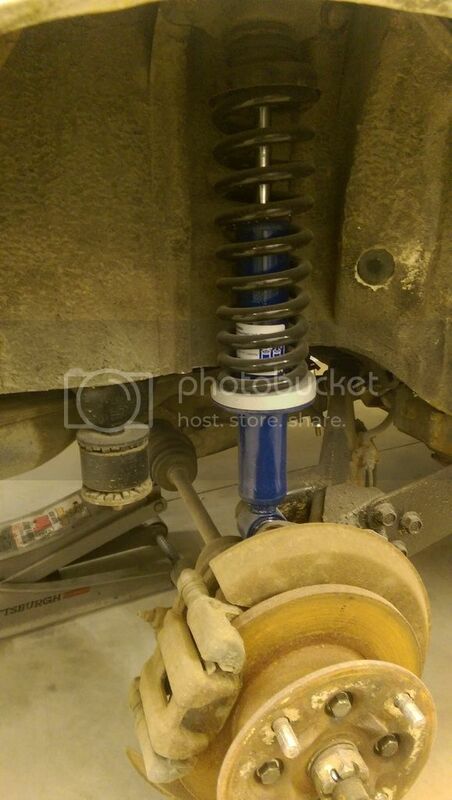 Also the Coil Springs won't let you compress the Shocks any further than 4"
... It definitely stiffened it up and I always felt the Rx sat slightly lower in the rear from the front stock. But afterwards it has the rear sitting slightly higher than the front and it definitely gave her some more attitude. I will get a pic the whole car when I put the rims back on; painting them and center caps. Yes, it Helps, thank you for Sharing. We're waitin' to see the Before / After pics.